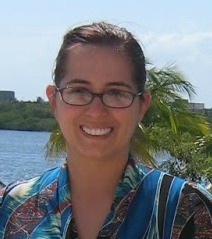 Susan's Disney Family: School of Wash, bath products for kids made FRESH when you order them! 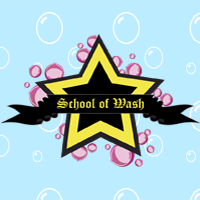 School of Wash, bath products for kids made FRESH when you order them! As a family owned business we feel it is important to treat our customers like family. We use all our products in our own bathrooms because we feel they are the best on the market. For us, this is a family affair! The inspiration for School of Wash™? One evening as my daughter drudged towards the bathroom she exclaimed, “You know Mom, I’m not a baby anymore why do I have to use shampoo with a baby on it?” Sometimes the logic of a child is so simple it is brilliant. Why shouldn't bath time be COOL? After months of trial and error to find just the right name and products to peak her interest, I found a way to not only keep her bath time COOL but allowed her to be the creative force in the brand and product design. Our products really are “KID TESTED AND KID APPROVED”! Our FRESH Promise: We believe fresh ingredients are not only important on your dinner table, but also in your bathroom. We only use the highest quality ingredients and make all our products at the time of ordering. Our Products are – Paraben-free, Talc-free, SLS-free, Sulfate-free, Sodium Chloride-free, FRESHLY made when ordered and contain No Dyes. We deliver quality, FRESH products to your door. Because YOU deserve the Best! Handmade Dry Shampoo - Paraben-free and talc-free. Tired of always having to wash your hair? Looking for a way to have shampoo-fresh hair without all the work? 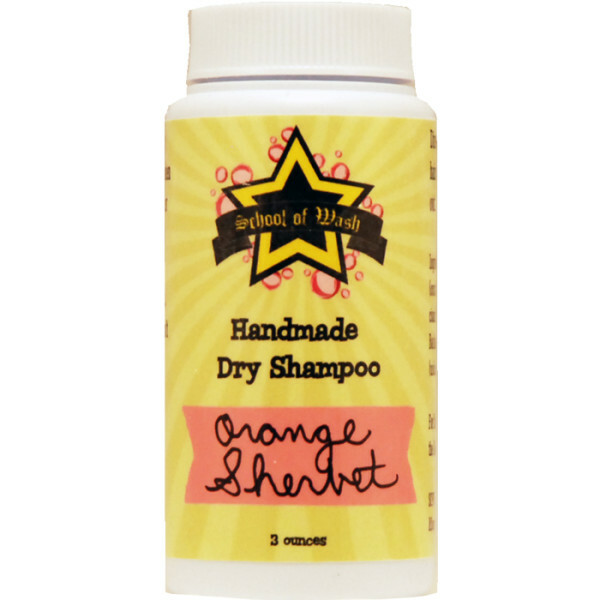 School of Wash™ Handmade Dry Shampoo is the perfect solution! Sometimes as a busy mom, life can get hectic and sometimes there is just no time to wash your hair everyday so if we miss a wash, dry shampoo is the answer. What is dry shampoo you ask? Well it is a powder that you sprinkle on your hair, and it “absorbs” the greasy look in your hair, then you comb the powder out and your hair looks refreshed and clean. I was able to check out the Chai Tea Handmade Dry Shampoo, the dry shampoo worked well, and smelled like a spicy chai, so unique and wonderful. 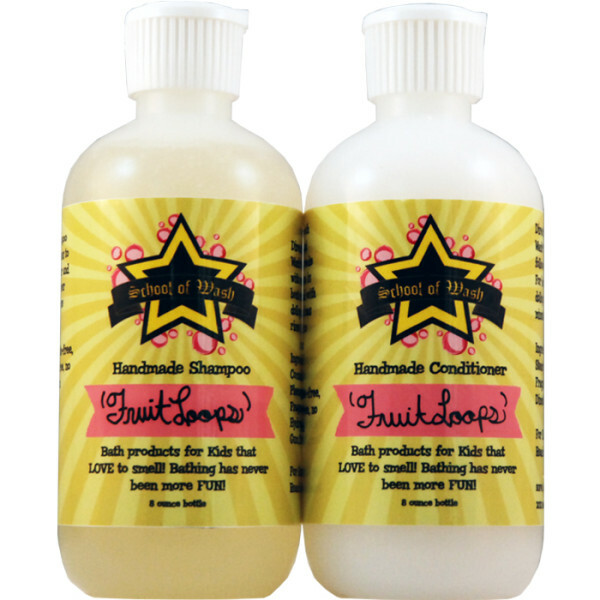 Handmade Shampoo & Conditioner - Why buy just one when you really need both? Choose from 138 different scents, and save when you purchase the School of Wash™ Handmade Shampoo and Conditioner together! sulfate-free, sodium chloride free, paraben free, no added colors and safe for keratin-treated hair. Available Sizes: 1 fluid ounce (30 mL), 2 fluid ounce (60 mL), 4 fluid ounce (120 mL) and 8 fluid ounces (240 mL). Available in over 138 different fragrances or choose fragrance-free. I am a big fan of kids hair products, so I was really looking forward to trying this product. My daughter may think she is a teenager and that she is a grownup, but she is only eight years old and needs items made for her skin. My daughter is growing up so quickly, she is now 8 years old I cannot believe it, where did my little baby go? She is such a big girl, so she does not need the newborn hair wash, but she is not ready for the harsh adult hair wash. The Shampoo and Conditioner from the School of was just what she needs, something just for kids like her. The smell of this shampoo and conditioner is an amazingly sweet and fruity smell. The smell was a nice natural banana smell, it was almost mouthwatering it reminded me of a banana candy, a sweet mouthwatering banana smell. I felt as if I was on a picnic with my family (well at least you feel like you are there, it is amazing what a smell can do). This shampoo cleaned well, and bubbles up nicely. The conditioner helped with the knots that are usually all over my daughters hair. After using both products, my daughters hair was clean manageable and smelled great! The products are sulfate free, so I was able to try them out as well (with my dyed hair, products with sulfate strip the color, so they are a no-no for me) and I loved the shampoo and conditioner as well. Handmade Flavored Lip Gloss - Give your lips a lasting sheen with our School of Wash™ Flavored Lip Gloss. Concentrated with vitamin E and sweet almond oil to nurture your kisser with intense moisture for soft, healthy lips… Paraben-free. My daughter seems to be taking after her mom with her love of lip products. For me I always have to have a lip balm or lip gloss with me at all times. My daughter seems to want to do the same thing, she is in love with lip gloss these days. 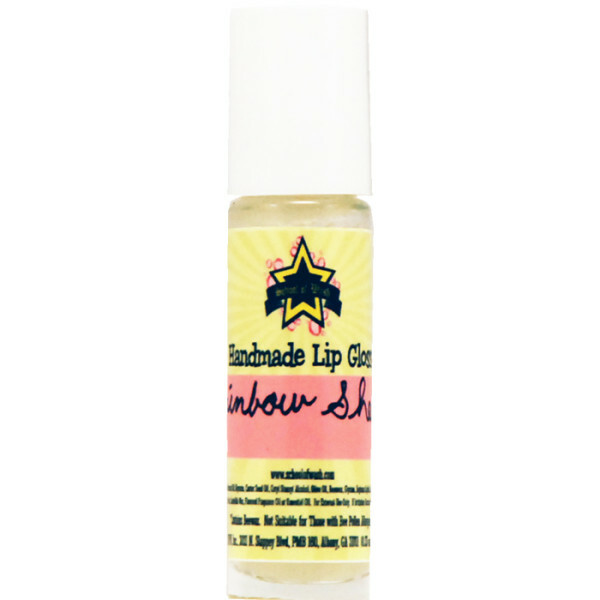 We were able to check out the Cherry Pie scented Handmade Flavored Lip Gloss, my daughter loved the gloss it made her lips shiny and smelling like a fresh made pie. The gloss can easily be tucked into a purse, or a school bag. You can sign up for a free trial, to check out the quality of the product. So if you are looking for handmade quality bath items for your kids in great scents they will love from Fruit Loops, to beach to barbershop, and just about anything in-between. The assortment is amazing, you must check it out. The School of Was even has was items for your furry friend, check out the pet was line. If you are looking for a great gift idea for that special someone on your gift list this year, make sure to check out The School of Wash, you will find something that they will love, and you will love that it is good for their skin and handmade. All products are handmade when you order them and shipped within 3-4 days. You can purchase any of these wonderful body items on The School of Wash site. For more information make sure to follow The School of Wash on Facebook. Disclosure: The reviews and or opinions on this blog are my own opinions . I received body items to review. No monitory compensation was received. I was not required to write a positive review. Your experience may differ. The opinions I have expressed are my own I am disclosing this in accordance with the Federal Trade Commissions 16 CFR Part 255: Guides Concerning the Use of Endorsement and Testimonials in Advertising . WOW, thanks for this review, it truly does sound awesome! Wow, 138 scents to choose from for the Handmade Shampoo & Conditioner? That's amazing! I'll have to check it out!